Portland, Oregon lawmakers are proposing a new rental reform that could force landlords there to adopt a “low-barrier” tenant screening policy and diminish landlords’ rights with respect to security deposit deductions. 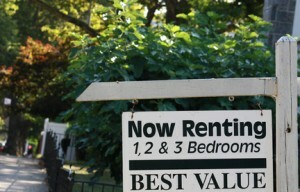 The measure, dubbed “FAIR”, would limit what information a landlord can use when making decisions about tenant qualifications, enact a first-in-time rule when processing applications, allow security deposits to be paid in installments, limit the amount of security deposits and prohibit deductions for common items like cleaning. Recently, a court in Seattle struck down that city’s first-in-time law as unconstitutional because it interfered with landlords’ rights to choose tenants for other reasons such as an applicant’s willingness to sign a longer-term lease. In its current form, the proposed Portland law provides that landlords only could run credit reports on head-of-household applicants and not on all adult occupants. Criminal history on additional occupants could not exceed one year. Landlords would need to accept applicants with credit scores as low as 500, and any felony conviction more than seven years old. Landlords would need to date- and time-stamp each application and apply waiting periods after advertising a vacancy. Sufficient income would be set at 2 times the rent, and landlords would not be able to reject tenants who fail to produce a government-issued photo ID for tenant screening purposes. The issue of identification sparked a distressing interaction at the first public hearing on the proposed law. A councilmember grilled a housing provider on the provider’s policy for accommodating any tenant who is not able to obtain government-issued ID due to unique circumstances like having no birth certificate. The housing provider suggested that the government is in a better position to verify such a person’s identity than a small landlord. The councilmember appeared to berate the housing provider for her answer, reducing the speaker to tears. That prompted the mayor overseeing the hearing to rebuke the councilmembers for not respecting contrasting views, a move that garnered applause from the audience of both landlord and tenant advocates. In a related proposal, security deposits would be limited to not more than one month’s rent, unless the landlord also collects one month rent in advance, in which case the damage deposit would be limited to one-half of one month’s rent. Security deposits could be payable in installments over three months, and landlords could not take deductions for cleaning and other common items. To be eligible to take deposit deductions, the landlord must produce a list of the replacement value on all fixtures, appliances and equipment, and maintain a depreciation schedule on those items in real time. Members of the public presented a number of other objections, including offering an assessment of the actual dollar losses that landlords stand to incur should the measures pass. It is estimated that rents would increase along with these administrative costs by an estimated $100 per month. Other community members raised concerns over the provision increasing the income to rent ratio to 2:1 because that could encourage tenants to overspend and damage their credit. Investors are concerned the language of the proposed law contradicts the terms of mortgages and grants for affordable housing, and that when taken in combination with Oregon’s recent rent control law and existing rental restrictions, investors may not be able to obtain funding and may lose interest in the Portland market. City Council is expected to vote on the proposal in the upcoming weeks. My husband and I are small landlords and rent single family homes. We do everything we can to follow HUDs fair housing law. We want our tenants to be successful so they do need to show they have sufficient means to pay the rent and utilities. All our tenants like us because we are fair, keep our houses well maintained, and make repairs in a timely manner. We have discussed these sort of articles and have decided that if the government in the area where our rentals were located became hostile to us we would sell our single family homes. We already have stopped investing in more rentals and are looking for different investment opportunities because of the changing rental business environment.